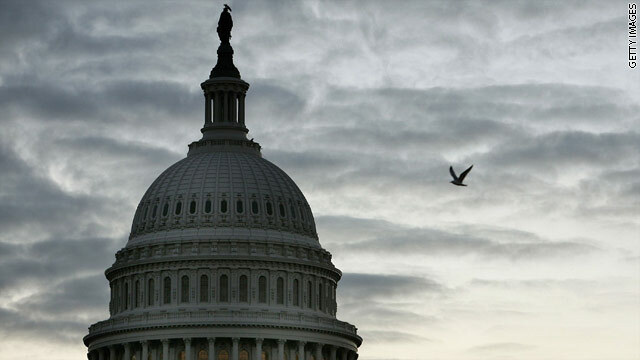 (CNN) - An organization of progressively-aligned Christian leaders launched new radio ads Tuesday attacking the proposals currently being considered on Capitol Hill to cut the deficit and raise the debt ceiling. Their main criticism centers on the proposals’ neglect of necessary Biblical priorities to care for the poor, according to the group. Sojourners, a progressive Christian coalition led by Rev. Jim Wallis, placed ads narrated by local pastors on Christian and country radio stations in several localities home to congressional leaders. The group's representatives said the ads are non-partisan and emphasized they are trying to encourage lawmakers to understand the importance of helping those less fortunate. The ads are airing in House Speaker John Boehner's Ohio congressional district, statewide in Kentucky, home of Senate Minority Leader Mitch McConnell and in Nevada, home of Senate Majority Leader Harry Reid. The size of the buy has not yet been disclosed. The minute-long spot attacking Boehner's plan says the book of Proverbs "teaches that where there is not leadership a nation falls and the poor are shunned while the rich have many friends." "Sadly Congress has failed to heed these Biblical warnings, and our own Rep. Boehner is risking the health of our economy if America defaults on its debts," the ad says. Members of Sojourners previously held a hunger strike to oppose budget cuts. They also met with President Obama during the debt stalemate. According to the group, approximately 30,000 people have signed their "Circle of Protection" pledge to fight cuts they say would most affect the poor. "Please join this growing chorus of faithful Americans by telling our elected officials our nation's budget is a moral document and they are responsible not just to the few at the top, but to all of us," the Kentucky ad says. The Nevada spot adds "in budget debates the rich have many political friends and lobbyists. The poor and needy don't." "We have leaders, including some from Nevada who are threatening to wreck our economy by forcing America to default on our debts, all to protect tax cuts for the rich and powerful," the Nevada commercial adds. CNN’s Gabriella Schwarz and Jessica Yellin contributed to this story.